We’ve redesigned the website to enhance user experience, designed customized landing pages for all SEM campaigns to improve conversion rates, focused on optimizing and restructuring the Google AdWords SEM campaigns to optimize CPC and improve conversion rates. In addition to that, we also made sure that the Dental Clinic’s Local SEO program worked together with the SEM program to maximize the R.O.I. When it comes to web design if your audience finds your website to be unattractive, people will leave your site pretty quickly without any intention to come back even if you’re attempting to re-market your services. There is only one outcome with poor web design and that’s lost revenue resulting in wasted ad spend and poor conversion rates. We have seen this happen many times when proper web design methodologies that we have outlined below are not followed. To kick off the web design project, we initially focused on a handful of critical design principles that impact conversion rates drastically right from the very launch of the site. This means organizing the website content properly and following best web design practices with this site. We’ve outlined below some of the best web design practices we put a strong focus on. Hick’s Law is a popular theory among most web designers that’s also extensively cited by designers across the digital marketing sphere. The law dictates the principles of design in terms of how quickly a user can access the critical information they’re looking for on the web. To put it simply, if you were to increase the number of elements on the site like using too many colours, including heavy imagery, and unnecessary links, the cognitive load on a person’s brain to reach the right decision increases drastically. The user’s brain gets overwhelmed, followed by frustration and they abandon the web site even if it ranks well on Google. The basic idea here is that as you’re trying to influence your user to take a specific action on your site, the overwhelming presence of choice reduces their ability to actually make a decision and follow through to the desired next step in the customer journey. Is the user likely checking out or quickly scrolling through the headlines to see which blog post they should engage with to find relevant content quickly. Deciding if the site visitor would download the clinic’s brochure and share their wonderful content across various social media channels, or maybe contact the dental clinic. Will the user choose between making an inquiry, reading service reviews, or browsing for more content on the blog? This small list of user distractions barely scratches the surface of the plethora of decisions that users are always sub-consciously making while browsing any website. We also focus on guiding the user through the website in such a way that allows for good user experience and at the same time helps improve conversion rates, right from the very first touch point with the site. Thus, we’ve put in a welcome gate that engages the user to take a specific action on the site right away. This small element of our website design brought in a big spike in email sign ups. This ultimately helped us improve conversion rates in such a way that had a big impact on the ROI of the dental clinic as compared to previous years. How we leveraged the Rule of Thirds in web design was also critical from a strategic and conversion standpoint. This rule means, that we essentially organized the images and call to action buttons in a conversion centric layout that forces the user to pay attention only to one specific element in a given moment in time, with a maximum of two actionable choices. This reduces the cognitive load of making a choice and provides a simple, but enriching user experience. The graphic images and the buttons next to them, also have very specific messaging that accompanies the two elements. This message was carefully crafted and was meant to speak directly to the prospect’s mind and to guide the user through the website flawlessly. Another critical component to the dental clinic’s web design was to focus on respecting the impatient user and their time. The digital world is very fast, highly competitive and mobile focused. This means every person that is searching for information is looking for it quickly and most likely while they’re on the go. The user simply can not be bothered by slow loading pages whether it is on their desktop, mobile phone or tablet devices. They also expect to find the information they are after rather quickly, and because most internet users today are quite savvy, they’re very aware of a vast number of similar services offered by competitors within the same geographic area. Thus, we made sure to test the website speed rankings against Google Pagespeed Insights and used other tools like Pingdom and GTmetrix to ensure website speed is fueling conversion rates rather than killing them. This highly technical approach to website speed allowed us to ensure website speed was not killing conversion rates. We understand the value of taking the time to ensure that the website is SEO friendly, important pages load quickly, follow best web design principles, present an elegant user experience, and allow for fast delivery of quality content. 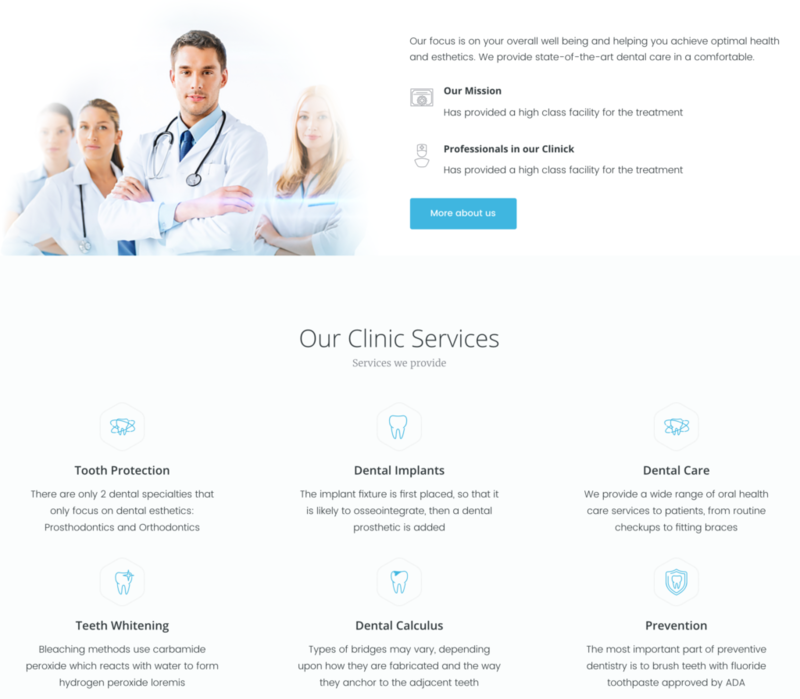 These small, but powerful aspects of web design were taken into consideration and applied to the dental clinic’s website. Many, but not all digital agencies and Algocentric without exception all around the world work hard to produce high quality and unique SEO content for their clients. Most business owners also take the time to write their own highly engaging content to entice the user and provide excellent insights for the searcher to turn a cold prospect into a hot lead and then turn them into a valuable customer or client for life. Extensive research has proven that most people while browsing the internet scan content in a specific way that produces an F-pattern. Thus, when we looked at how to design the blog page and how to structure the content layout, we kept this F-pattern design idea in the back of our mind. We made sure that someone searching for a specific solution to their problem on the dental clinic web site or directly on Google, could find the answer they’re after very quickly. Then, they would engage with the blog long enough to sign up to a relevant offer with their email address. This sets the tone for a continuous conversation with the prospect and allows them to learn more about the clinic’s upcoming special offers. What might the user feel when they engage with the website? Which parts of the website do we want to highlight and how much contrast do we want to keep in the body text, headlines, subscribe buttons and call to action buttons to make them truly stand out? A wonderful example of this might be Mailchimp’s home page. Using concise headlines that contain one irresistible benefit to drive the offer home instantly. Using beautiful imagery that immediately conveys the main idea and purpose of the page and guides the user’s attention directly to a button with a relevant CTA. Contrast the sign up buttons and make them obvious to the user’s eye. Using exit pop-ups and other SEO friendly pop ups to capture the user’s contact information that may potentially be lost forever and never come back to the site even if we use re-marketing because they’re using an adblocker. Using context relevant industry images that display certain emotions which are easily detectable in the face of the model in the picture. This helps engage the prospect emotionally and increase familiarity with the brand by identifying with the person in the image quickly. High quality content is great, but images often do the heavy lifting for the brand, because humans immediately empathize with the people in the images and this creates a sense of connection with the brand. Powerful images that evoke the right emotions can often make up for weaker content on a site and we wanted to ensure that we added strong emotional value to the site’s look and feel. One last critical part of dental clinic’s web design was picking out photography which comes directly from demographic targeting. We had a pretty good idea of the clientele that visits the dental clinic regularly in that area, so we selected images that our ideal prospect can easily identify with and connect with the clinic’s image in the matter of seconds. 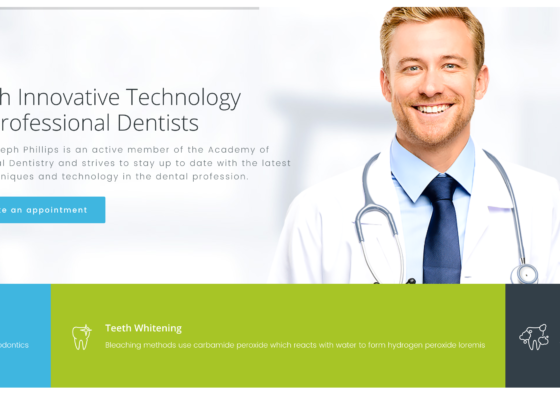 Search Engine Marketing Program For the Dental Clinic begun by first auditing their Search Engine Marketing efforts in their Google AdWords account. This is a typical approach for us, when we first begin to evaluate the state of affairs within the account and that’s where our strategy and program planning started. We had audited the account very carefully by following our well thought out templated SEM audit methodologies. Are the Ad-Copy best practices followed? 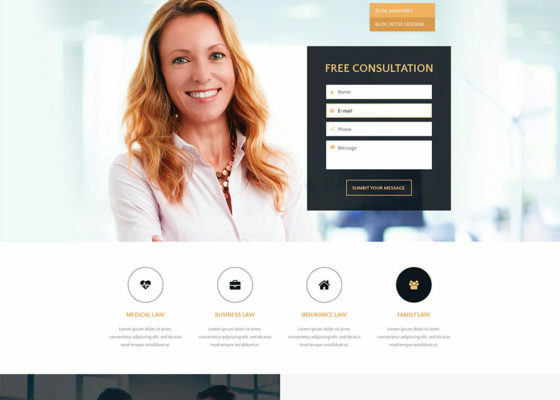 Designing a local Search Engine Marketing strategy for a dental clinic competing with a dozen other clinics in a large metropolitan city can be rather tricky, because the cost per click is often high, but the budgets are not. The account performance also largely depends on the account’s history. Thus, a part of our strategy entailed selecting high intent keywords by finding the “hidden keyword gems”. This required third party spying software, expert PPC research skills with attention to ad copy detail, strong competitor trend analysis and a focus on recent industry trends. What are the obvious, high-intent log-tail missed keyword opportunities that the clinic was not bidding on? Which keywords are being cannibalized by organic search or vice versa? Are there any obvious keyword culprits that are consuming a larger share of the budget that the clinic could already be ranking well for organically? How do we incorporate the high performing keywords from our SEM program into an SEO strategy to ensure maximum conversion benefit? Are there any low performing keywords with low Quality scores that are affecting the entire account performance across all campaigns? How do we stack up against the competition and how aggressive are they in certain categories that we are also looking to compete in? 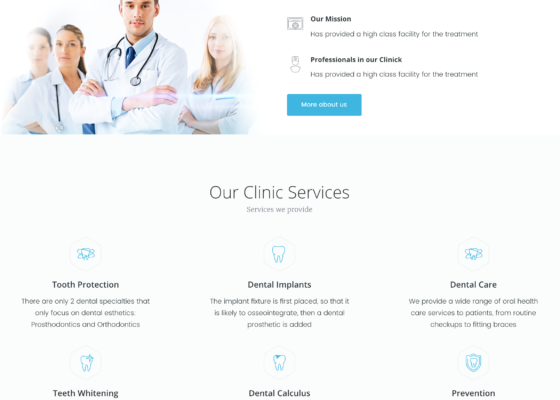 The design of our local SEO strategy for the dental clinic was primarily based on the high performing keywords we uncovered in our SEM program. On top of that, we uncovered some quick easy wins that the dental clinic’s competitors luckily missed out on, and weren’t putting a big emphasis on. Providing highly valuable content that provides excellent insight into the prospect’s concerns based on their Google search intent was our main focus with our content strategy. Essentially we provided highly engaging content that someone could share with their family in the form of guides, small pdf downloads, brochures, and content that somebody could post to social media. The content was designed to inform the public about the potential pitfalls of bad dentistry practices, what one should look for in a dentist and what to expect with certain dental procedures. 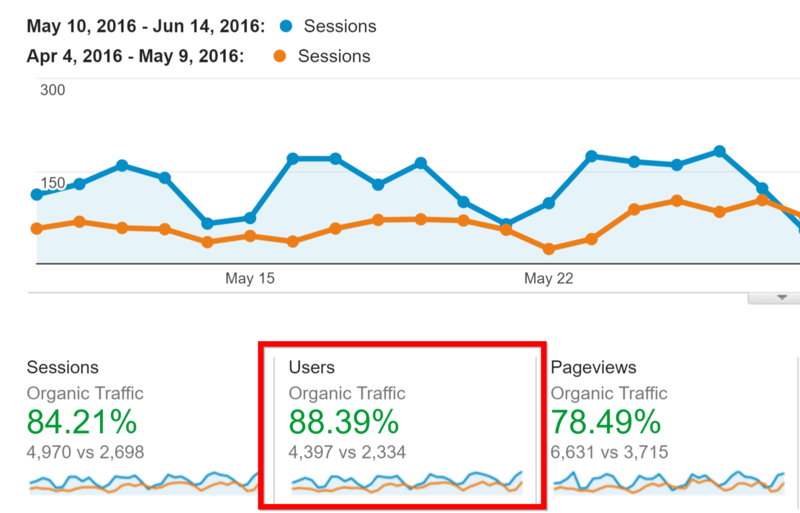 Overall we saw a substantial two-fold increase in conversion rates on the SEM side with the same budget. We ranked 25 high-volume, high-converting keywords on the first page of Google at the top 3 positions within 6 months. Focusing on web design all together to optimize landing pages for specific campaigns with the SEM program resulted in a 200% increase in conversions. This result came from us being able to remove distracting elements from landing pages and optimize them for specific intent. We also utilized content specific pop-ups designed to keep the user on the page and convert much sooner in the customer conversion journey. We were able to increase website inquires by a whopping 550% from organic inquiries as a result of pushing high quality blog content and optimization of Google My Business listings to reach more high-intent searchers locally. We also improved the booking system by redesigning the site in such a way that spoke directly to the user’s inquiry and provided them with a compelling offer on the initial landing page. This helped us push the user over the last “pain point” in the conversion funnel to finally book the service appointment.